Double petal count on pom-pom shaped flowers. Bloom in clusters of 5-7 recurring throughout the season. Dense dark-green foliage indicates good disease resistance. Gold medal winner in international competition. Note: This rose was introduced in Europe or the UK earlier than here in the US. 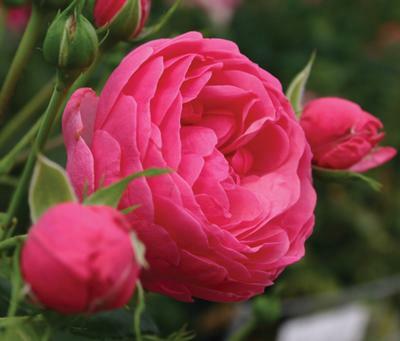 This introduction date refers to the new roses provided from our growers to us for this year.